As summer is starting to feel like a memory and autumn is setting in, we are reaching the time of year where we celebrate the mid-harvest festival of Mabon. 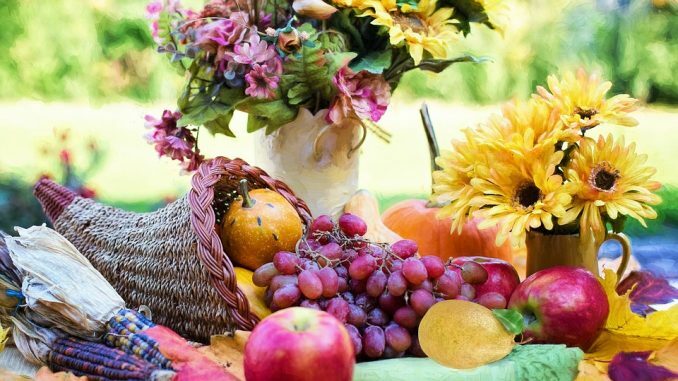 Mabon is the mid-harvest festival, where we celebrate the second harvest of the year. It is a lesser Wiccan sabbat. It occurs after the last major sabbat, Lammas, which celebrated the first harvest where traditionally the grain is harvested. Mabon is also known as the second Harvest Festival, the Wine Harvest or the Autumn Equinox. Mabon is a time to celebrate the harvest we have received. Mabon is also known as the Autumn Equinox, which is the time where the day and night are equally divided. 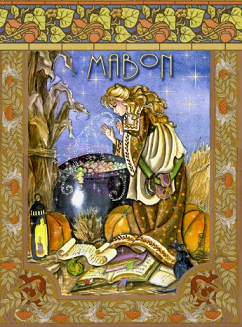 Mabon is celebrated on September the 21st-22nd. It is one of two times in the year when the northern and southern hemisphere receive the same amount of sunlight. This festival takes its name from the Welsh god of mythology, Mabon. He is the son of the Earth Mother Goddess Modron, and is the Child of Light. He is also known as Mabon ap Modron. Wiccans celebrate this as the time where the goddess is ageing. She is descending into the underworld and passing from her Mother to her Crone state. Druids used this time of year to honour the god of the forest, The Green Man. He is a symbol of life, nature and divinity. Pagans see the Green Man as a symbol of seasonal renewal. 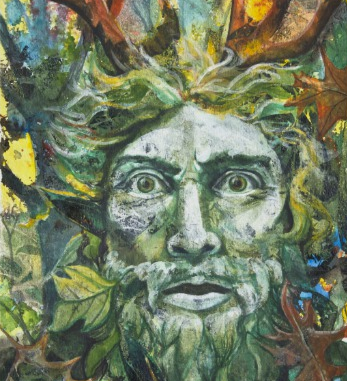 The Green Man is seen as a representation of The Horned God, which is viewed as the masculine side of divinity. In Rome the equinox celebrated the festival of Dionysus the god of wine and revelry. Other Roman gods associated with this time of year are Pomona, goddess of Orchards and Gardens and Vertumnus the god of season, change and plant growth. The Greeks used this time to worship Hecate, the goddess of the night, moons and ghosts. What many of these deities have in common is the theme of life, death and rebirth. With equal days and night, this is the time where nature is in its balance. It is a time to be thankful for what the earth has provided. It is a time of rest after the gathering of crops. Celebrate the ageing Goddess as she passes from Mother to Crone. The God prepares for death and rebirth. Mabon traditions involve the celebration of the crops and the harvest through sharing this food with friends and family. It is also a time of enjoying nature before winter arrives, and for craftwork. Symbols of Mabon are taken from the crops which are harvested at this time of year such as grains, corn, apples and pomegranates. Natural items such as pine cones, acorns and ivy are also symbols of the festival, and wine made from seasonal produce. Other symbols represent the equal balance between day and night, such as black and white, scales or the yin and yang symbol. There are also symbolic animals of the season such as the blackbird, the owl and the eagle. Go for a walk in the woods and admire how the trees are changing with the season. Dress in your best clothes and have a celebration meal with your friends and family. Try cooking using seasonal ingredients or trying one of the recipe suggestions below. Share your wealth and harvest with others by donating some dried goods to a food bank. 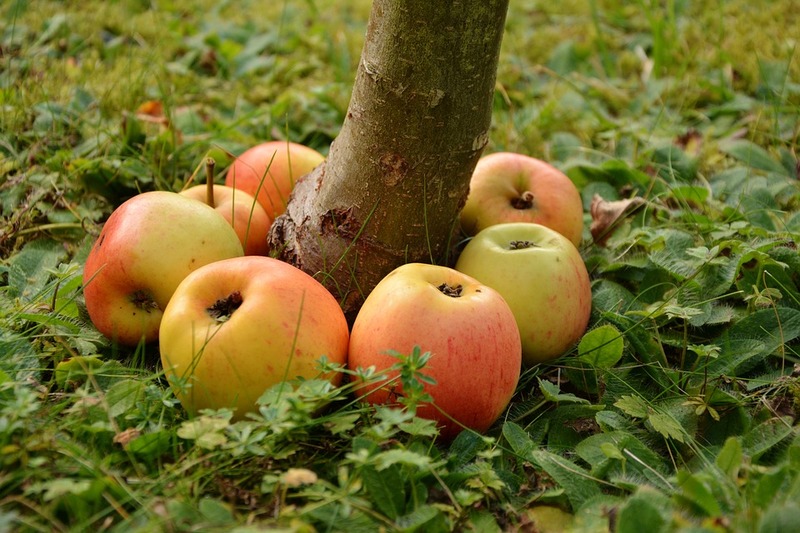 Go out and pick some apples from trees, find a farm where you can pick your own fruit, or forage in the wild (always get permission from the land owner and make sure you are sure the fruit is an edible species). Make a cornucopia, also known as a horn of plenty. It is a large horn shaped wicker basket or container for produce. It is a symbol of fertility and abundance. Plant tree seeds, shrubs or bulbs for next year. As a solo practicing Wiccan there are different ways you can focus on celebrating Mabon. Focusing on the equal day and night aspect, this is a time to focus on balancing yourself. Spells of the season can focus on harmony and balance. Spells for prosperity, protection, security and self confidence. You can also use this time of year as a time to complete projects and focus your goals. 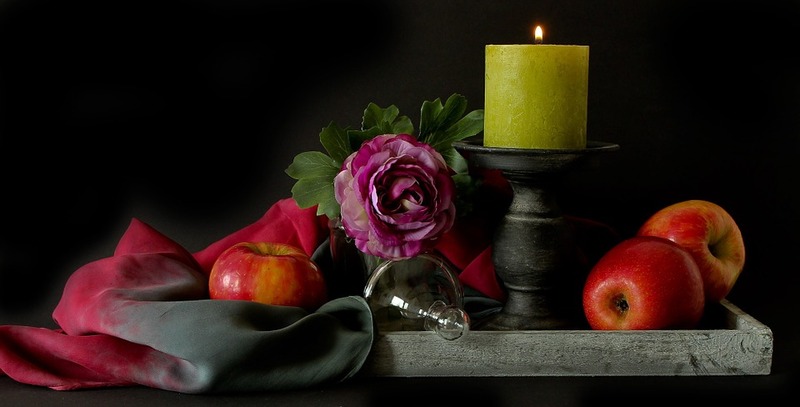 For a simple Mabon ritual to honour the gods, read A Mabon Apple Ritual. There are many foods associated with Mabon. These include vegetables such as potatoes, carrots, and onions, bread, nuts and fruit such as apples and pomegranates. Use seasonal vegetables to make a ratatouille or pasta sauce. Make the most of a glut of apples by turning them into a sauce, a pie or a crumble. Bake your own bread and add herbs such as rosemary. If you have yet to set yourself up with an altar, now is a good time to start. You can use a table, but if you don’t have room try a shelf. If you are really short of space you can make yourself a box or basket to be an altar you can put away when not using. If you have an altar you may want to use Mabon as a time to change it. Celebrate the season by using the rich colours of the harvest; reds, oranges brown and gold. Decorate your altar with acorns, thistles, ferns and grains, or flowers such as honeysuckle and marigold. Add fire with a candle or a pumpkin lantern. Your altar is your sacred space, so there is no right or wrong answer of what to do. Wether you celebrate Mabon in a big or a small way, I hope you enjoy it and you feel a closer connection to the god, goddess and to nature. Holly is a writer who specialises in writing about Paganism, folk tales and also writes fiction. Her magical interests include herbalism and tarot. When not writing Holly works in a museum. Holly loves walking, nature and watching horror films. Visit hollyknowles.co.uk for more.